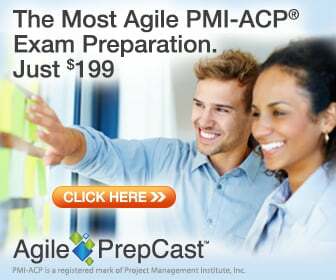 I’ll be giving a webinar on “The Anti-FrAgile Foundations of Project Management” for PMI’s Agile Community of Practice on November 12, 2014 from 10 AM to 11 AM PST, on this paradoxical idea that as the world gets faster, we actually have to slow down and ask more probing questions and possibly tear down all assumptions we thought were correct. This process is an AntiFrAgile one and is influenced by the infamous Nassim Taleb who promotes the idea that uncertainty can actually benefit us because it provides shocks to our system which actually benefits us rather than harming us. Epistemology is a branch of philosophical and scientific inquiry that asks “how do we know what we know?”. The speaker is amazed how little this is asked in the majority of books, research papers and industry studies related to project management. The speaker will argue that this lack of inquiry and understanding is the cause of many project failures. We will look at how the field has evolved, the underlying assumptions and a view of where we might be headed. The world has changed and things have to get done faster and better… ironically, this means we need to step back and ask probing questions and not just charge forward. This process is Anti-FrAgile. Attend and be enlightened! Don Kim, a certified PMP and ScrumMaster and a two-decade veteran of project management, mostly in IT and most recently for the healthcare industry. A results-driven Southern California native, Don has worked in a wide range of industries, plying his PPM principles: finance, retail, healthcare and IT, with a strong concentration for the past 10 years in program and project management, business analysis, software development and large scale infrastructure deployments in the IT industry. Don’s experiences have paved the way for the premier of Project@tion in May 2012, where he’s since made it a point to post several times each week. Additionally, he’s shared his wares and know-how as a writer, trainer and consultant. You can learn more about Don Kim on his website, Projectation.com and follow him on Twitter @protweetation. Thank you Christopher. I look forward to giving the webinar and it will be mind expanding! Hope you attend. ← It’s the Product Owner, stupid!